As you know food tends to simply taste better when it looks good and is presented in an appetizing way. Now imagine how good food can taste when paired with a breathtaking scenic route in the background while cruising down the Vaal River. 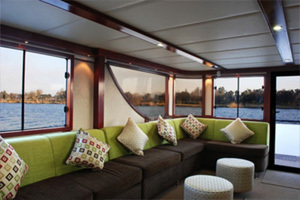 Book a Vaal River Cruise lunch on the Liquid Lounge to experience this first hand and you won’t be disappointed. 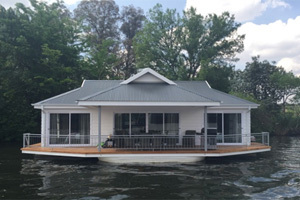 If you are in need of an outing that will relax and rejuvenate you then you should not wait any longer to treat yourself or your loved ones with a trip down the river on a luxurious lounge boat. 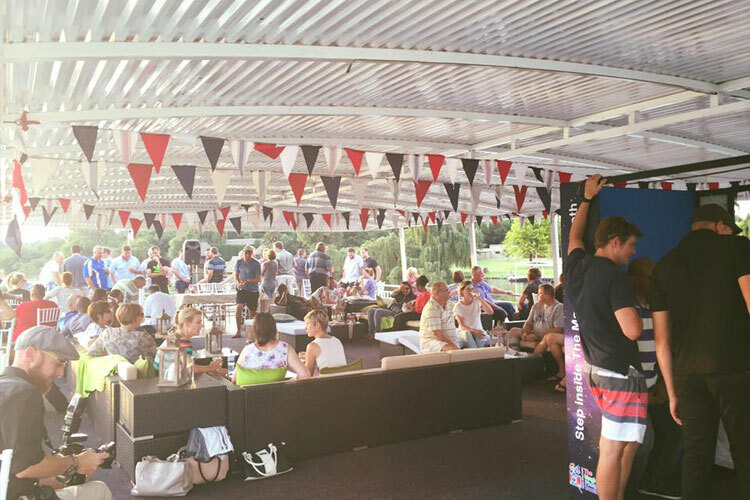 The Liquid Lounge is well known in Gauteng as one of the leading cruisers on the Vaal River. Large enough to accommodate up to 120 easily this boat is decked out with everything you could possibly need to have an enjoyable time. Whether you have a birthday party or wedding to plan or simply want to join us on one of our public cruises you will have a great time. The boat has an existing cash bar facility and if you were to plan your function on board, two menu’s to choose from depending on the departure point of your choice. 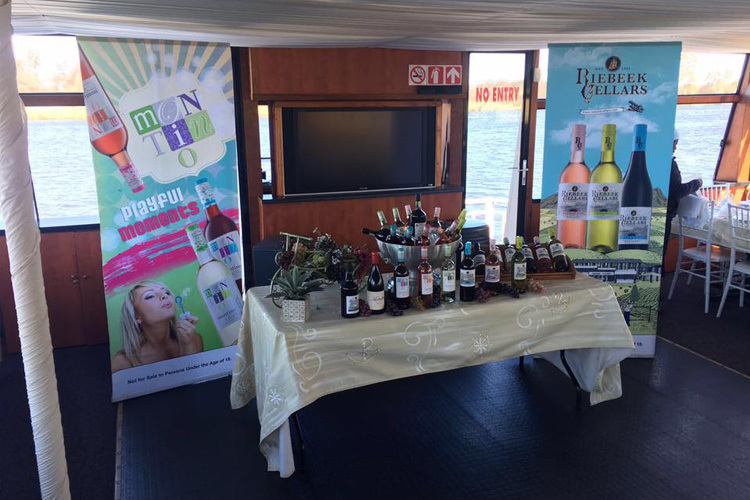 A Vaal River Cruise lunch could be the ideal way of ending your work year and showing thanks to your staff and people who have made the year a success. We will supply you with background music during the cruise, but you are more than welcome to bring your own entertainment on board as we have an electrical outlet available for your use. Having lunch with people you care about is already something that can put you in a fantastic mood and lift your spirit, imagine what a soothing background can add to that experience. With a large lounge area with couches where you can stretch out and relax to a dance floor area where you can show off your best moves, the Liquid Lounge Cruise boat certainly has everything needed to create the perfect atmosphere. 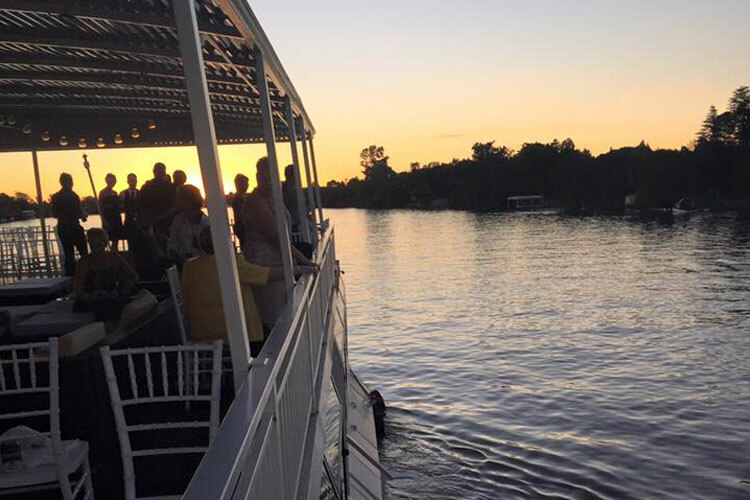 As the surroundings along the Vaal River are some of the most beautiful in South Africa, it is not hard to see why so many people drive long distances to experience the Liquid Lounge cruises for themselves. Have a look at the calendar on our website to see available opening and when our next public cruises will take place, or contact us directly to discuss the option we can offer you for an event or party. 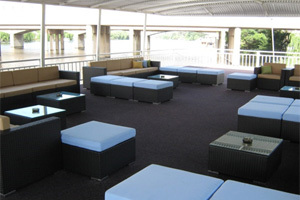 The Liquid Lounge is truly an events venue with a twist. 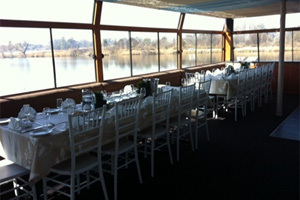 Book a Vaal River Cruise Lunch TODAY!